So I've started YET ANOTHER new project. What is wrong with me? 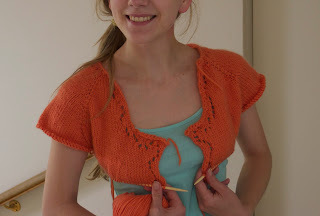 This pattern is the Miette cardigan by Andi Satterlund. And it is gorgeous. I first read about it on Lladybird (which is a blog you should all follow). Then I joined Ravelry.com and realised that what I should be doing with my time is knitting! 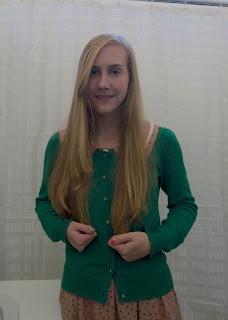 Why stress about finding the perfect cardigan when I can create it myself! 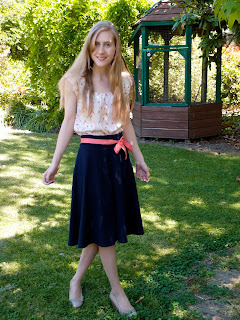 So the first thing I did was go through my cardigans to see which colour was missing, and the answer was Coral! So I went out and bought 7 balls of this lovely Patons merino cashmere from Lincraft, which was totally cheap. Like $4 a ball. What. I did have about three false starts, because the first few rows of knitting is complicated and very easy to get wrong. I kept having too few stitches. But once I finally got going it became much easier. The whole thing is stocking stitch except for the edges. The cardigan so far! I'm hoping it's not going to turn out too big, but if it does, I can shrink it magically somehow. Knitting needle chest. I stab you! 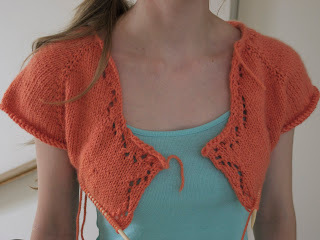 Now I look at Andi Sutterland's ravelry page, she has heaps of lovely jumper and cardigan patterns! I would like to make them ALL! Let's see how this one goes and then I'll decide what to jump into next.